We are based on the beautiful Rose Lane Farm. Our drive is through quietly growing cornfields just showing through the soil. It is a wonderful misty day. Karen and Ros are working to ensure superb high quality embroidery for the Open University ready for the opening of their new restaurants next week. 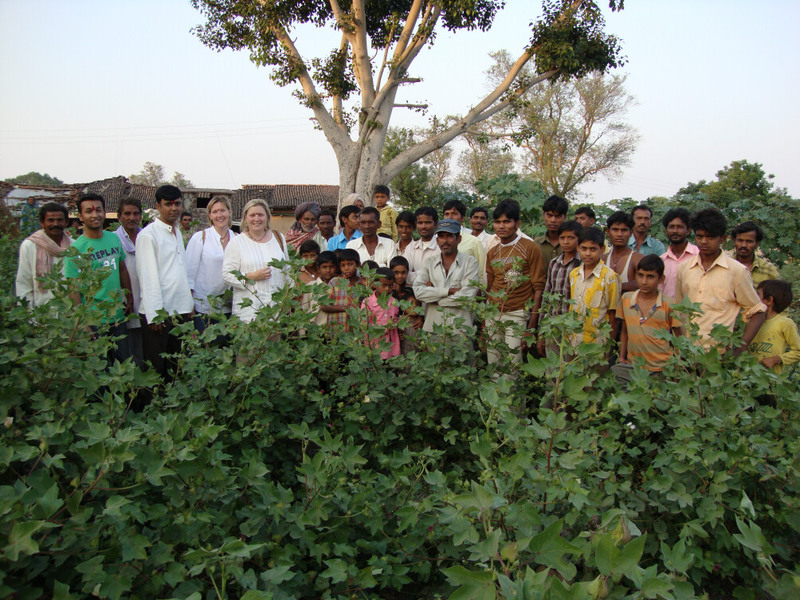 Lisa is in India which reminds me of my trip to visit the Fairtrade cotton farmers I spent time with in November. A different type of farm to Rose lane! This is a great web blog. I visit you frequently and we get always valuable updates, regards!